Everybody has their own idea of a holiday getaway should be. If you are on the adventurous side, it is safe to assume that you don’t want to be sitting around sitting hot chocolate from a hotel balcony in Wales or taking a carriage ride through London’s historic district. You are likely seeking a holiday that is more than just a getaway. You want an experience to remember and plenty of adventure to keep things exciting. Fortunately, there are plenty of places in England, Scotland, Northern Ireland, Wales and other UK destinations that are perfect settings for an adventure holiday – whether heading out alone or with your family. There are hundreds of campsites to be found throughout Britain. Some will be crowded during certain times of year, others offer plenty of space for you to relax and become one with nature while hiking, climbing or swimming. • Grendon Lakes, near Wellingborough, Northamptonshire – This 150-acre water sports park offers plenty of activities during the day such as jet skiing, banana boat riding and wakeboarding. Adults can enjoy the bar, while kids old enough to crave some independence can camp in areas far enough away from their parents to allow for some privacy. On some holiday weekends, live bands and DJs have been known to show up to provide some entertainment. • Marthrown of Marbie, near Dumfries, Dumfries and Galloway – This is a more private camping option, but there’s still plenty of adventure to be found. Mountain biking and hiking trails will certainly keep you active until the sun goes down. Some of the amenities include a barbecue, a gazebo and even a sound system. For those looking for a more traditional camping experience, there’s a normal campground here too. 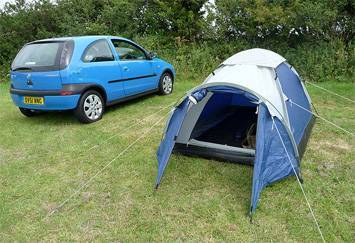 • Wowo, Uckfield, East Sussex – This is definitely a campsite geared towards the adventure lover. You’ll find various outdoor courses, including archery demos, yurt-building workshops and even some superhero football. Entertainment options include live acoustic shows and a group sing-along. You’ll also find some nearby trails that are perfect for walking or hiking. Other than swimming and scuba diving, there are plenty of water-based adventure holiday options throughout the UK. Some require you to bring your own equipment, others allow you to rent what you need while you’re staying there for the weekend. • Canoe the Severn – Not only will you enjoy canoeing here, but you’ll get a view you won’t soon forget. You’ll pass medieval manors, lavish estates and enjoy some of the most beautiful surroundings in the UK. Beginnings can start on shorter sections. More experienced canoers have plenty of challenging paths to choose. 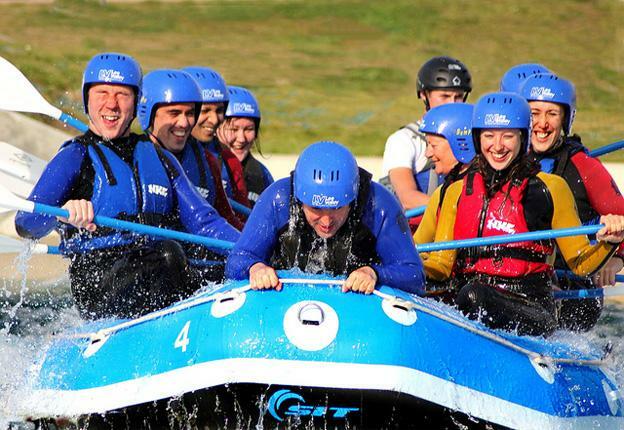 • White water rafting – You’ll find plenty of places to enjoy white water rafting while on holiday in the UK. Aside from white water rafting streams in Wales and Scotland, you can also go canoeing and kayaking near Nottingham. Believe it or not, you’ll find some great surfing and diving spots in the UK. Many of these locations also have hotel and resort accommodations so you can relax a little between your adventures while on holiday. • Watergate Bay, Cornwall – An excellent spot for beginners, you’ll find two miles of beach at low tide. You can take surfing lessons here or just practice your skills and enjoy some of the beach cafes when not catching a wave. 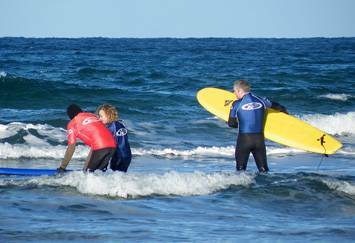 • Saltburn, Cleveland, north-east England – You’ll find sections for beginners and more experienced surfers here. It does get crowded around high tide, but you can always take a break at a local spa hotel overlooking the beach. • Llangennith, Gower, Wales – If you want a challenge while on holiday, this is the spot for you. When the waves break in rapid-fire succession you’ll have more than enough surf to handle. A park just above the beach is a great place to unwind after a day of surfing. 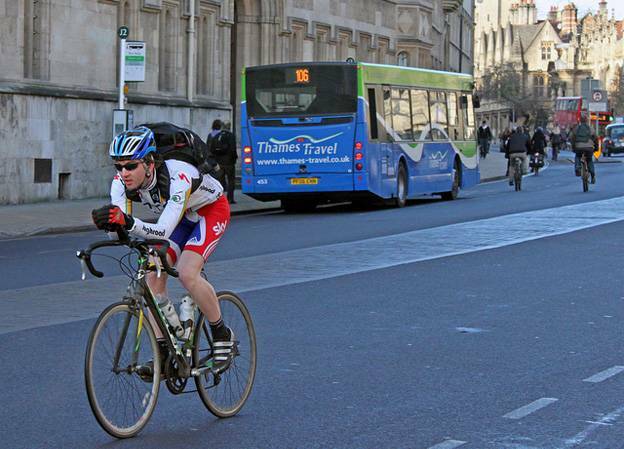 Another option for adventure seekers is a cycling or walking holiday in the UK. Popular locations include the Wye Valley, Brecon Beacons, Herefordshire, Shropshire and Lon Las Cymru (Welsh National Cycle Route). Not only will get plenty of exercise, but you’ll get a firsthand view of local attractions and beautiful natural surroundings in a way you just can’t experience in a car. • The Mortimer Trail is a 30 mile trail nestled between the medieval town of Ludlow and Offa’s Dyke. The sights are like something out of The Sound of Music. • The quiet cycle tour includes a charming village with three inns and a castle. For some truly adventurous holidays such sailing around Britain or scuba diving you are better off going with a professional tour company. This ensures your safety while enjoying your adventure holiday, plus you tend to get better accommodations. Another option is to stay at one of the many bed and breakfasts in the UK. Many B&Bs aren’t far from hiking, biking or nature trails. Some are close to area beaches where you can swim or even surf when not visiting local shops and restaurants. If you are looking for an adventure-driven holiday in the UK, you definitely have several options. Sol Hudson is an avid blogger who contributes to a number of blogs on a wide range of topics from green living to technology to travel to home safety.